Yesterday morning . . . 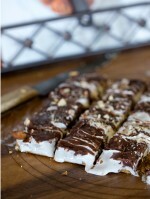 I opened an email and eyed a recipe for Fudgy Rocky Road Bars, on Martha Stewart’s Everyday Food site. What’s an incredibly rich, super-easy, and perfectly packable treat? These rocky road fudge bars! 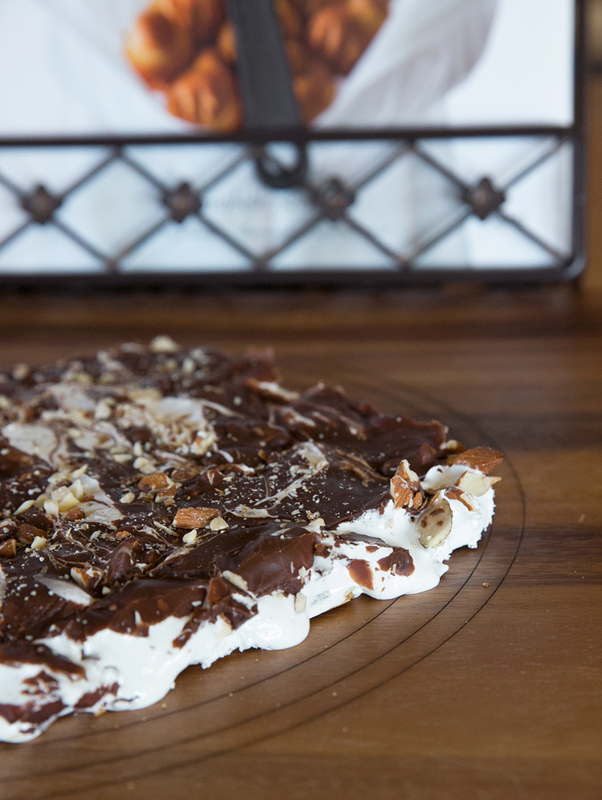 All it takes to make this stellar dessert is a few simple steps: Just layer melted chocolate and chopped almonds on top of marshmallow-fluff-topped graham crackers, chill, and cut. Bring these along for your next picnic or road trip, and your store-bought granola bar doesn’t stand a chance. This sweet is a cinch to make. Keep a supply on hand for lunchboxes, weekends, and casual entertaining. My eyes glanced through the list of ingredients & I had everything on that list, but not a lot of time on my hands. Thirty minutes . . . yes . . . I could do it. They are super simple to make. These bars are extremely rich and gooey and fudgy and nutty and delicious. S’mores . . . move over! These actually cut quite well, straight out of the refrigerator. The bars you’re looking at have been sitting for a while. The camera had to be found . . . lens popped on . . . tripod/no tripod/ style/no style . . . well you get the picture! This picture is before I began cutting them into bars. It helps to lightly moisten your sharp knife with hot water, then the knife will slide through easily. Notes: I lined my pan with parchment paper first, and even sprayed it with a touch a cooking spray. (I used the parchment that is one side foil/one side parchment – it’s so easy to mold in your baking dish) It might not look it, but the whole pan of fudgy bars popped right out even after just thirty minutes of chill time. I do recommend 1 hour though. I’m always in a hurry! I neatly trimmed away the edges and placed the cut bars on a plate to take to my daughter who lives just down the road. She needs the calories! 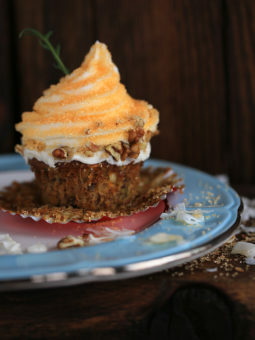 If you need a quick, gooey treat this weekend . 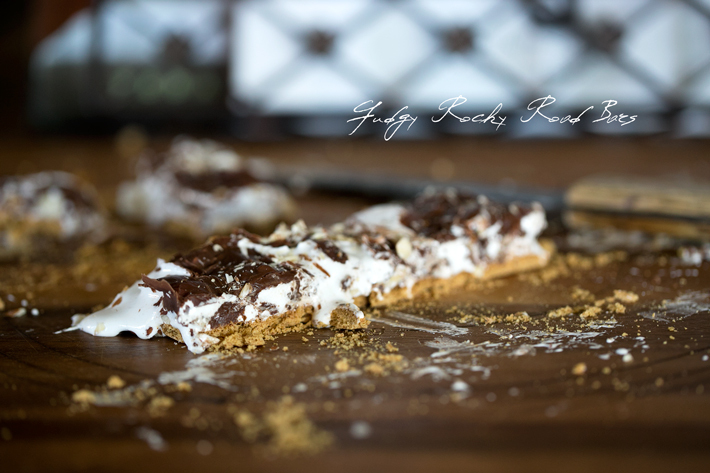 . . your family will love these “easy to make” Fudgy Rocky Road Bars. 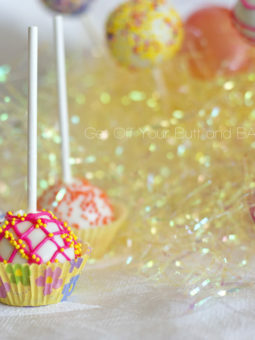 Hope you have a one sweet weekend! 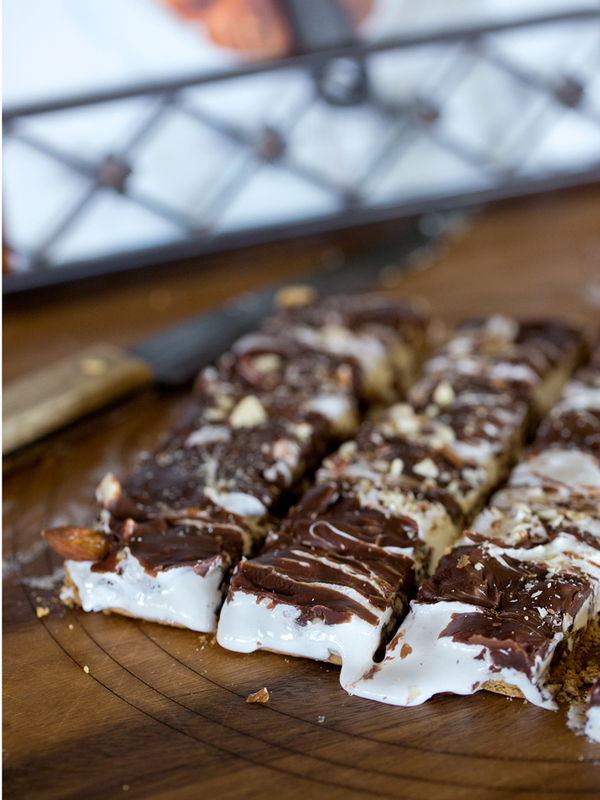 These bars are a cinch to make! Salted nuts like peanuts or cashews would also be nice for a salty sweet taste. Preheat oven to 375 degrees. Line bottom of a 9-by-13-inch baking dish with graham crackers, breaking them to fit if necessary. Bake until the crackers are lightly toasted and fragrant, about 8 to 10 minutes. 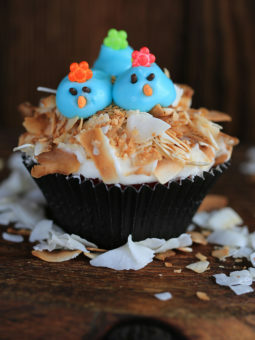 Sprinkle with almonds and dollop with marshmallow cream. In a heatproof bowl set over (not in) a pan of simmering water, combine chocolate chips and condensed milk. Cook, stirring occasionally, until chocolate melts and mixture is smooth. 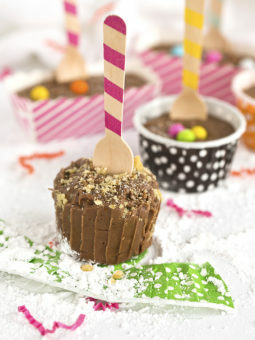 Pour chocolate mixture over marshmallow creme; working quickly, swirl together with a thin-bladed knife. Refrigerate until set, about 1 hour. Cut into 18 squares. Chefs notes: Line your pan with parchment paper, so that the whole tray of bars can easily be lifted from the pan. Salted nuts would also be delicious for that Salty-Sweet treat. Refrigerate, tightly wrapped in plastic, up to 2 days. The chocolate/condensed milk mixture is more like thick fudge….its really good. you could however, try just melting chocolate chips for the top, but it wouldn’t swirl nicely through the marshmallow layer. Let us know if you try it!